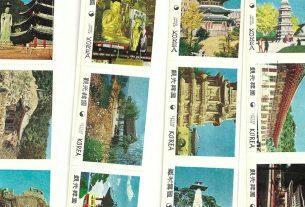 Home > Korean Philately > Q&A > Printing Error on Scott’s #1927? December 5, 2018 February 9, 2019 George E. Corbin1842 Comments on Printing Error on Scott’s #1927? I attended the Rocky Mountain Stamp Show in Denver, Colorado. 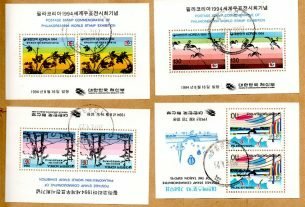 There at the show I was able to acquire a number of Korean stamps that I needed for my collection. I asked one dealer if he had any Korean stamps or stationery. 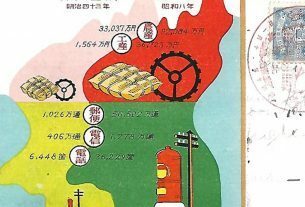 He showed me what he had, including that block of 10 stamps (Scott’s #1927, issued January 26, 1998, “Electric Power in Korea, Centennial”) shown in the illustration. I was amazed at what I saw. The Scott’s #1927 missing colors. I saw that he only wanted $3 for them. I asked about them, and he said that that was the way he bought them and was willing to sell them to me as is. I thought he sure didn’t know what he had for sure. So I am sending the copy to see what you and KP readers think about them. If they are real, I might consider sending them in to APS for a certificate on them. I am not an expert, by any means on these. However, are these what they call “progressive” proof? Each of the stamps in the top line are one of the five colours in the printing. I do not believe that they are missing any colours, just printed intentionally in that manner. When you look at the top selvedge you will notice 5 colour blocks, each representing the same colour of the first horizontal row. These colours represent the make up of the colours used in the stamp. I don’t have the idea the first horizontal row are progressive proofs as they are on the issued sheet of stamps. 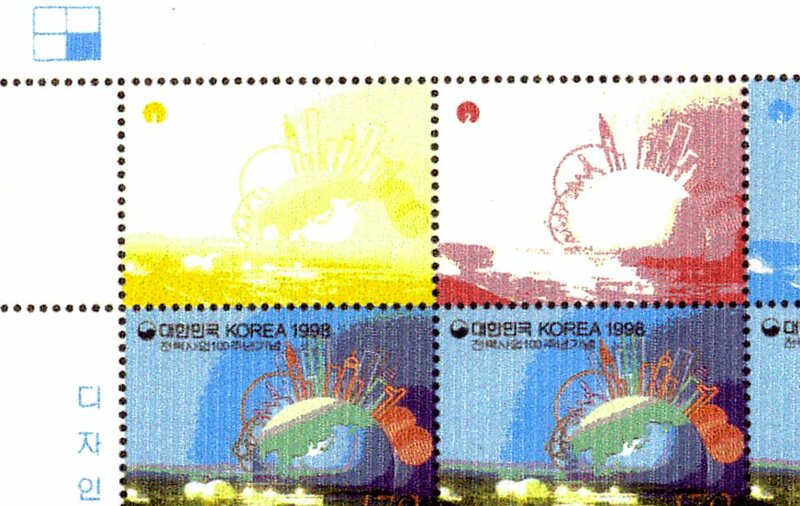 I think the Korean postal authorities made this deliberating to boost sales as collectors “need” to have an extra row of stamps for their collection to show this combination. This is a bit similar as with gutter pairs in sheets or vignettes at different places in the sheet. Further more the blue block in the left top corner in the selvedge indicates that the sheets were printed in a mother sheet of 4. The symbol indicates 3 open and one closed block, of which the closed block indicates the representing sheet. The printer uses this to spot major errors in the plate or problems during printing.